Trunk Show and Spring Fling! 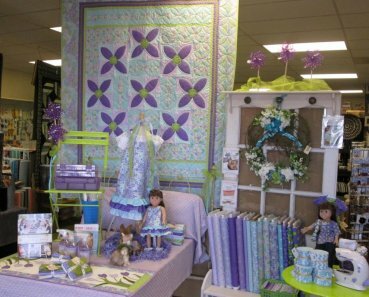 We just wanted to remind you of our Trunk Show tonight, featuring Kristin Roylance and showcasing her new book, "Cute Quilts for Kids" along with our 20% off all bolted fabric (1/2 yard or more cuts). And don't forget our sale on Fat Quarters. The Trunk show starts at 6:00 pm tonight (April 10, 2014) and we will be celebrating Diana's birthday also. Remember it is a surprise!